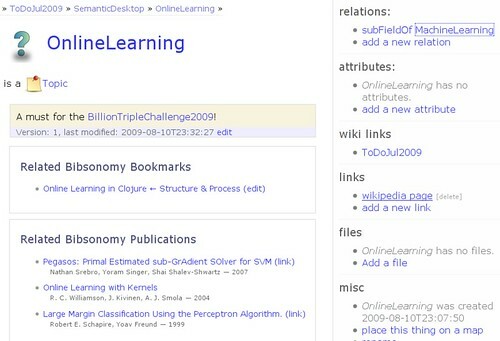 At first I worried about identity — what if the OnlineLearning of Koble is no the same as the OnlineLearning tag on bibsonomy? What if I have SemanticWeb vs. semantic-web? Maybe I should let users (read “myself”) selectively associated different things with different tags? Then I learned to stop worrying and just get on with my life and now I show any links/publications where the tags matched if they are the same once all non-letters have been removed and the rest converted to lower-case. Now I’ve fixed my tool — now nothing can stop me from actually doing some work.